Contributors: Khabele Matlosa, Carl W Dundas, Sean Jacobs, Terhi Lehtinen, Tom Lodge, David Pottie, Maître Françoise Kaudjhis-Offoumou, Vicky da Silva. Key terms: Ballots, Bullets, Elections, Conflict, Management, Southern, Africa, Electoral, Sustainability, Costs, Development, 'Coloured', Vote, Post-Apartheid, South Africa, Comparing, 1994, 1999, Provincial, Results, Western Cape, Unfinished, Referendum, Process, Western Sahara, Political Parties, Finance, Campaigning, Parliamentary, Zimbabwe, 2000, Ivoiriennes, 2000, Summary, Presidential, Mozambique, 1999. ABSTRACT: Elections form an important ingredient for democratic rule in all societies. However, on their own, elections do not amount to democracy nor are they sufficient to sustain democratic governance. The significance of elections though, is that they encourage popular participation in the political process, which is crucial for both stability and legitimacy of rule. This is more so in conflict-ridden and war-torn societies. The southern African experience demonstrates that the relative political stability enjoyed by the majority of states since the ending of the cold war and the demise of apartheid, has been nurtured and consolidated through elections, which have essentially replaced bullets with ballots as key instruments for the contestation for state power. The extent to which elections add value to the constructive management of conflicts depends critically on both the nature of the electoral system and the unequivocal commitment of the belligerent parties to peace, reconciliation and stability. Carl W Dundas is the Special Adviser (Legal) responsible for the electoral technical assistance programme in the Commonwealth Secretariat. The views expressed in this paper do not necessarily reflect the secretariat's policy. INTRODUCTION: The cost of holding elections in a multiparty democracy is high and continues to rise. A random check on the cost per elector at a general election in 22 Commonwealth countries a few years ago revealed an average cost of US$4.24. There is however a growing awareness that the cost of not having elections often leads to conflict which is even more costly than elections. It is necessary that ways and means be found to ensure the long-term fiscal sustainability of democratic elections. The key to achieving this goal is to develop cost-effective measures in election preparation and conduct. It is well known that many of the southern African states find election budgets beyond their capacity at the present time and are willing to accept funding assistance from friendly foreign governments and organisations. Free and fair elections are considered essential to the growth of a healthy democratic state and so a long-term strategy needs to be formulated to ensure that electoral services are seen and funded as an essential service. Sean Jacobs is a doctoral student at the University of London, Birkbeck College. He also works as a senior researcher at the Institute for Democracy of South Africa in Cape Town, South Africa. INTRODUCTORY PARAGRAPH: The voting behaviour of coloureds in South Africa's short history of democratic elections has often been treated in an off-hand or simplistic manner. Those most guilty of this abuse have been the popular mass media and political party activists. As a result, existing interpretations of coloured voting patterns in the national and provincial elections of 1994 and 1999 invent 'traditional' voting patterns for coloureds or even reify a homogenous coloured voting bloc. Media commentators and political party activists have often dealt with coloured voters as if they are a single, homogenous entity, with little regard for factors of class, region, religion or the impact of self-identification. For example, when the majority of coloured voters opted for the National Party (NP) in the first democratic election in 1994, interpretations of that vote � rather than interrogating it � sought to conveniently explain it through supposed 'traditional voting patterns' or coloureds' supposed 'historical affinity' for the NP. Terhi Lehtinen is the Programme Officer at the European Centre for Development Policy Management (ECDPM), Maastricht, The Netherlands. ABSTRACT: The Western Saharan conflict, between Morocco and the Popular Front for the Liberation of Saguia el Hamra and Rio de Oro (Polisario), has constituted a major threat to regional stability in North Africa since the Spanish decolonisation in 1975. The war has cost thousands of lives, with prisoners of war taken on both sides, and forced Morocco to construct a huge fortified wall in the Sahara. The conflicting parties have a fundamental disagreement on the status of Sahara; Morocco claims its marocanity based on the region's historical ties with Moroccan dynasties. In contrast, the Polisario fights for the Sahrawi people's right to self-determination, bolstered by Organization of African Unity (OAU) principles and United Nations (UN) resolutions. However, the underlying dispute concerns the control of the region's rich phosphate and fish resources. The UN Mission for the Referendum in Western Sahara (Minurso) has played the major role in the organisation of the referendum for self-determination, delayed several times due to disagreement on the voter identification and registration. In January 2001, the Polisario declared the end of the ceasefire, effective since 1991, due to Morocco's failure to respect the agreed principles. The political settlement of the dispute remains difficult to achieve and frustration on the ground is increasing. However, the example of a successful referendum in East Timor gives hope for the future in Western Sahara. Professor Tom Lodge is the Head of the Department of Political Studies at the University of the Witwatersrand, South Africa. 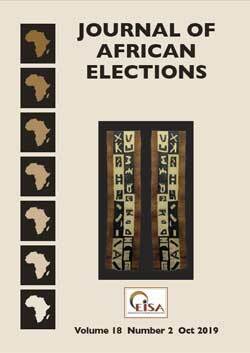 INTRODUCTORY PARAGRAPH: Political party electioneering finance is a subject which deserves more consideration than it receives in Africa. Efficiently and expensively administered elections in which at most only one party can afford the costs of an effective and sophisticated campaign represent a very partial fulfilment of democratisation, yet such contests are normal in the region. As well as providing useful insights in any assessment of electoral equity, examining the how parties finance their operations often helps to illuminate broader questions concerning the ways in which they attempt to build support. Free and fair elections require strong parties as much as they need efficient administrators, yet in Southern Africa Development Community (SADC) countries, as is generally the case further afield, legitimate public expenditure is predominantly concentrated on electoral bureaucracies: parties are supposed to fend for themselves. In this paper we will first consider some of the ways in which parties try to finance their operations before turning to the second question of how they spend the money they raise or use the resources they succeed in obtaining. Dr David Pottie is the Manager of the Democracy Development Unit at the Electoral Institute of Southern Africa, Johannesburg, South Africa. INTRODUCTORY PARAGRAPHS: The 2000 general election was played out against the backdrop of national liberation damands and a Zimbabwe African National Union-Patriotic Front (Zanu-PF) stoking the fires of nationalism. But the Zanu-PF campaign slogan, �land is the economy, the economy is the land', was not merely revolutionary nostalgia. Rather, it was explicitly backed up by an army of �war veterans'. and implicitly at least, by the police and armed forces. Leading the charge was President Robert Mugabe, whose populist rhetoric and criticisms of Rhodesian, British, and American interference in Zimbabwean sovereignty added much heat if little light to Zimbabwe's political and economic situation. The 2000 election promised change, not only in the form of the rising strength of the first substantial opposition to Zanu-PF in Zimbabwe's 20 years of independence, the Movement for Democratic Change (MDC), but also by raising the possibility of succession from within Zanu-PF. Though the election was marked by neither an MDC victory, nor an immediate shake-up within the ruling party hierarchy, it did promise to unleash a profoundly new phase of politics in Zimbabwe. Présidente Fondatrice de l'Association Internationale pour la Démocratie (AID - Afrique), avocate à la Cour au Barreau de Côte d'Ivoire, Expert Consultante Internationale en Démocratie-Droits Humains-Bonne Gouvernance. INTRODUCTORY PARAGRAPHS: La Côte d'Ivoire est un Pays de l'Afrique de l'Ouest. Sa superficie est de 322 463 Km�. Sa population est estimée à 15 800 000 habitants en 2000, avec 50.9% d'hommes et 49.10% de femmes. Elle est limitée au Nord par le Burkina FASO et le Mali, au Sud par le golf de Guinée, à l'Est par le Ghana et à l'Ouest par la Guinée et le Libéria. Depuis la Proclamation de son indépendance le 7 Ao�t 1960, elle est demeurée une République de Démocratie Constitutionnelle jusqu'au 24 Décembre 1999. La Constitution du 3 Novembre 1960 qui a été modifiée à plusieurs reprises, prévoit le multipartisme. Mais la Démocratie multipartite ne sera réellement mise en pratique qu'à partir du 30 Avril 1990. Vicky da Silva is an Information Officer at the Electoral Institute of Southern Africa, Johannesburg, South Africa. INTRODUCTORY PARAGRAPHS: The 1994 and 1999 presidential and parliamentary elections were widely hailed as a vote for peace. They were also seen as a test of electoral management, being held in the wake of the failure of the 1998 local government elections. Those elections were boycotted by the opposition parties who alleged that the national elections committee, the Comiss�o Nacional de Eleicôes (CNE) and the Technical Secretariat for Election Administration (STAE) were partial to Frente de Libertaç�o de Moçambique (Frelimo). Only Frelimo and four groups of independent citizens in Maputo, Beira, Nacala and Manhiça took part in the local government elections. The staging of well-run elections, and gaining acceptance of the results are often separate issues. Mozambique is a case in point, with the legitimacy of its recent commitment to multiparty elections hinging on all parties recognising the election results. One of the key mechanisms to achieving this acceptance of election results is to ensure that the body administering the elections operates in a transparent and accountable manner. Even the suspicion or allegation of wrongdoing, well founded or not, can be sufficient to derail an electoral process.